Former posts: Mission at the Consulate General in Los Angeles (1989-1992); Embassy in Jakarta (1996-1999); different posts at the Ministry of Foreign Affairs; Deputy Chief of Protocol (2013- 2015). On September 2, 2015 you took up your position as Ambassador of Malaysia to the Netherlands. What is your experience of the Netherlands and the people? Before my arrival in the Netherlands my impression of this country was rather different in many aspects. In retrospect, I felt that the Netherlands was just like any other western European country that shares the typical European DNA and features, be it in its people, culture, attitude, architecture and landscape. After three years serving in this country I have discovered and realized that the Netherlands and the Dutch by far are very special and captivating. How wrong I was! The people are exceptionally warm and friendly and the Netherlands would fit to be one of the best countries to live in, in every sense of the words. It has been an enriching and sweet journey for me and my family thus far. How would you describe the bilateral relationship between Malaysia and the Netherlands? As an official representative of my country to the Netherlands, I would confidently say that the current bilateral relations between Malaysia and the Netherlands are friendly and strong. Since the establishment of the diplomatic relations in 1957, there has never been any single ‘serious’ irritant affecting the warm relations between the two countries. The Netherlands is our important partner in Europe especially in trade and commerce and both sides are actively engaging to solidify socio-political relations that cover a wide range of cooperation including agriculture, tourism, culture, education, science and technology, research and development, as well as in security and terrorism. Bilateral trade between the two countries are showing an upward trend and both sides are working closely together to bring more positive development in the areas of mutual benefits. Which are the main import and export products between the two countries? Malaysia top three imports from the Netherlands are petroleum products, transport equipment and machinery, equipment and parts, while our main export to the Netherlands are electrical and electronic products, palm oil and palm oil based products; and chemicals and chemicals products. I am glad that our bilateral trade continues to show positive growth. In 2017, the bilateral trade is valued at EUR 7.16 billion with an increase of 13.5%, compared to EUR 6.31 billion in 2016. The Netherlands is the second largest foreign investor in Malaysia from the EU in 2017 and there are now close to 200 Dutch companies with diverse business interest in Malaysia ranging from food and agriculture production, petrochemical to precision tool and machine. The total investment from the Netherlands in 2017 alone was EUR 417 million which has helped to create 787 new jobs in the country. Among the notable Dutch companies operating in Malaysia are Shell, Philips, Dutch Lady, Unilever, Vopak, Enza Zaden, Heineken and KMWE. Malaysia and the Netherlands have a relationship since 370 years. Can you please elaborate? The Dutch relationship with Malaysia, or formerly known as Malaya before 1963 and Malay rulers began as early as 1602 when Admiral Jacob van Heemskerk of VOC (East India Company) established friendship with Sultan Alauddin Riayat Shah III, the ruler of Johor. The Sultan in turn sent a goodwill emissary to the Stadholder, Prince Maurits of Nassau in Amsterdam. The friendship had a lasting effect which paved the way to a strategic relationship that ultimately lead to the capture of Malacca from the Portuguese by the Dutch in 1640. The Dutch held Malacca for more than 180 years, the longest compared to the Portuguese and the British in Malacca, until the signing of the Anglo-Dutch Treaty in 1824. Several Dutch historical remnants could still be found in Malaysia such as the Stadthuys and Dutch Fort in Malacca, and Fort Dinding at Pangkor Island. On June 5, you received members of the Dutch United Nations Student Association from the Leiden University. What was the objective of this visit? Is there a good cooperation between the universities of Malaysia and The Netherlands? Every year our Embassy hosts regular engagement sessions and organise activities with officials from various Ministries, Institutes, Agencies and students associations including the Dutch United Nations Student Association (DUNSA) from Leiden University. The engagement was part of our continuous outreach activities to promote Malaysia among different segments of society in the Netherlands, particularly the working professionals and students. We share and exchange useful information about Malaysia to prepare our guests for their future undertakings or while visiting Malaysia. Malaysia has had an active but rather limited cooperation in education and research with the Dutch universities. There is an ongoing collaboration between Wageningen University and the Universiti Pertanian Malaysia (Agricultural University of Malaysia). In May 2016, the Netherlands Maritime Institute of Technology (NMIT), a Dutch-Malaysian higher learning institute based in Johor signed an agreement with NHTV (University of Applied Science) Breda in maritime education and training. Currently there are 34 postgraduate Malaysian students pursuing education at various higher learning institutes in the Netherlands including Leiden University, Wageningen University, TU Delft and TU Eindhoven. What are the objectives of the “ASEAN Committee The Hague” (ACTH)? ASEAN Committee The Hague (ACTH) was officially established on 19 October 2015 under Article 43 of the ASEAN Charter to provide platform for the embassies of the ASEAN Member States in the Netherlands to conduct activities of common interests that could raise awareness about ASEAN among the diplomatic corps and the local community. The establishment was endorsed by the ASEAN Foreign Ministers in 2015. From time to time, ACTH conducts events and visits to prominent Dutch public and private organizations, not only to promote ASEAN as a region of peace, prosperous and dynamic but also to forge possible cooperation of mutual benefits. Is there any cooperation with the “Vereniging Nederland-Maleisie (VNM) and your embassy? 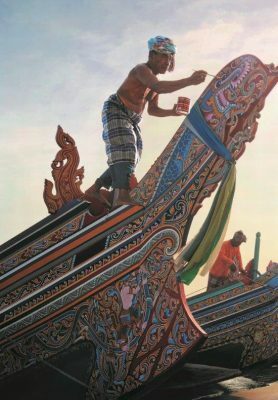 Vereniging Nederland-Maleisie (VNM) is one of the three associations established under the patronage of the Malaysian Embassy where the Ambassador of Malaysia serves as a Patron. VNM is regarded as ‘Friends of Malaysia’ and promoting Malaysia among its members and the Dutch communities is one of its main activities. All of its members are Dutch nationals who has had some form of relationship, experience or interest with Malaysia. Through the years, programmes are organised focusing on different topics and interest for the benefit of different interest groups. The Embassy and the Ambassador had in the past participated in several VNM’s activities including the most recent Informal Lecture at University of Leiden on 9 November 2017. Are there many tourists coming to your country? And what about the Dutch people? Malaysia received 75,885 Dutch tourists out of a total of 25.9 million tourists that visited Malaysia last year. The trend is particularly encouraging after a period of downturn in the aftermath of the MH17 incident. The tourism sector plays an important part in boosting our economy since it has contributed EUR 17.4 billion to the country’s revenue. Malaysia is ranked 5th in Asia and 26th in the world based on ‘The Travel and Tourism Competitiveness Report 2017’ published by World Economic Forum. Which highlights can you recommend to our readers to visit in your country? Malaysia has a lot to offer that I don’t even know where to begin! It’s all depends on what do you want to see or to experience as well as the duration of the visit. Malaysia is a true melting pot against the backdrop of interesting multi-racial culture and tradition. 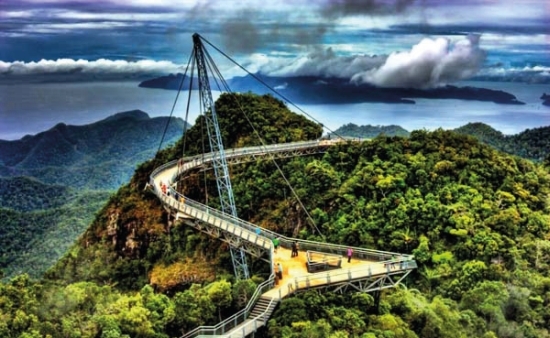 Apart from the modern cities such as Kuala Lumpur with the world’s famous Petronas Twin Tower, tourists could also enjoy our tropical nature by visiting national parks such as Mulu National Park, Royal Belum or the Danum Valley or relaxing at a world class beach resort in Langkawi, Terengganu, Pahang or Sabah. 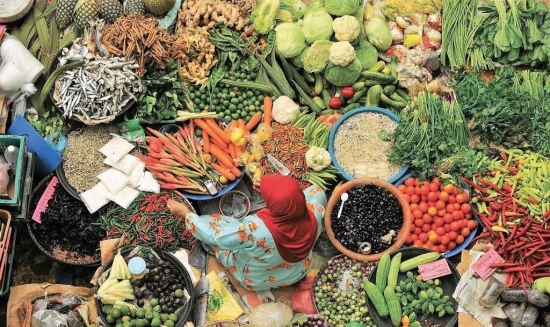 Best of all, Malaysia is a gastronomical paradise and a host to many colourful festivals which reflect the diverse multi-ethnic background in Malaysia. If you could describe your country in one sentence, what would you say?